Two US astronauts and a Russian cosmonaut were set to blast off for the International Space Station Tuesday in a late-night launch from the Baikonur cosmodrome in Kazakhstan. 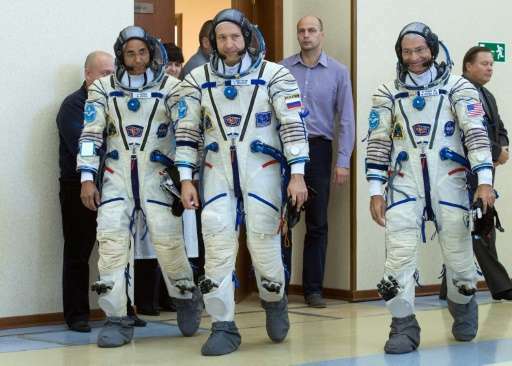 Alexander Misurkin of the Russian space agency, NASA first-time flyer Mark Vande Hei and veteran colleague Joe Acaba prepared to set off for a mission of more than five months aboard the ISS at 2117 GMT. 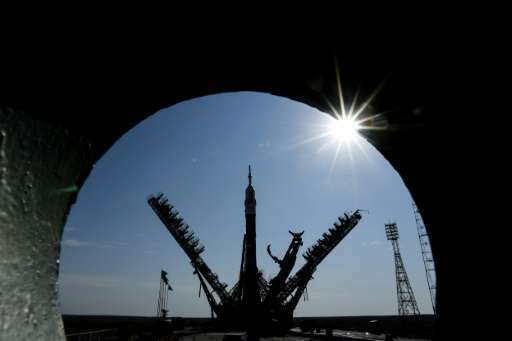 The Soyuz spacecraft is expected to dock at around 0300 GMT on Wednesday. As NASA beefs up its crew in space, the launch will mark the first occasion two US astronauts have blasted off together on a mission to the ISS from Russia's Baikonur since June 2010. The American space agency stopped its own manned launches to the ISS in 2011 but recently moved to increase its crew complement aboard the orbital lab as the Russians cut theirs in a cost-saving measure announced last year. Acaba, 50, has spent nearly 138 days in space over two missions. Rookie Vande Hei, 50, served with the US army in Iraq prior to training as an astronaut. Misurkin, 39, who is beginning his second mission aboard the ISS, also has a military background. Speaking at the pre-launch news conference on Monday, Acaba, who is of Puerto Rican heritage, said he would be taking some "musica Latina" on board to lift his crewmates' spirits. 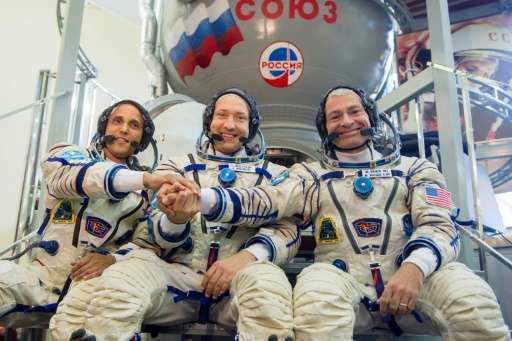 "I can guarantee my crewmates they will not fall asleep during that music and if you want to dance at about 3 am tuned into our Soyuz capsule I think you'll enjoy it," he told journalists. The launch has been overshadowed by deadly storms that have battered the Caribbean and the southern half of the United States. External cameras on the ISS captured footage of hurricane Irma last week brewing over the Atantic as it prepared to wreak deadly havoc. NASA's Johnson Space Center in Houston said earlier this month it suffered "significant" damage during Hurricane Harvey, although Mission Control remained operational. Vande Hei struck a sombre note in his pre-launch tweet on Monday. "L-2 days. Sunrise over Baikonur, Kazakhstan. Praying for the people of Florida as well as the continued recovery of the Texas Gulf Coast," he said. Space is one of the few areas of international cooperation between Russia and the US that has not been wrecked by tensions over the conflicts in Ukraine and Syria. The ISS orbits the Earth at a height of about 250 miles (400 kilometres), circling the planet every 90 minutes at a speed of about 17,500 miles (28,000 kilometres) per hour.